Professional basketball player JC Intal, supported by his wife Bianca Gonzalez-Intal said that "The new Ariel Man is more confident and more responsible when it comes to raising his family"
John Prats, supported by his wife Isabel Oli-Prats. Local personalities Kean Cipriano, James Deakin, Ali Khatibi, Marco Alcaraz, Sam Ajdani, and Anton Del Rosario. 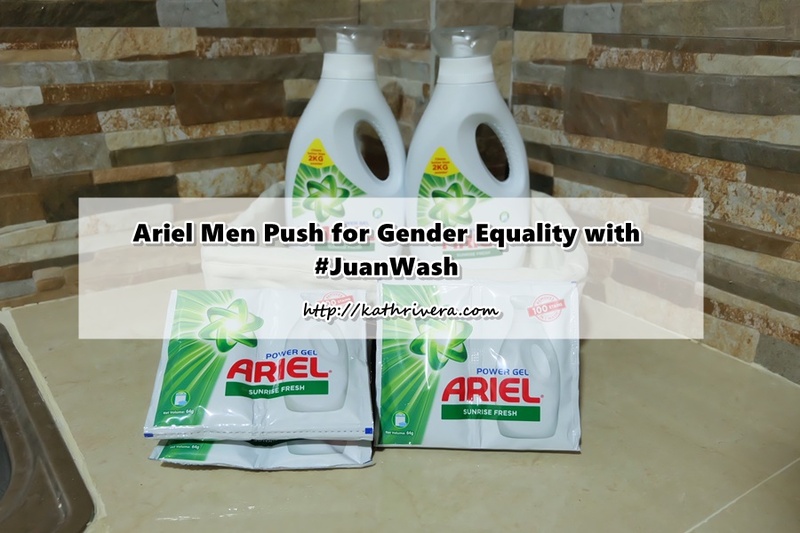 These Juan Washers use Ariel Power Gel which makes superior cleaning effortless so they can easily help out at home. Launched online last September 1, 2017, the #JuanWash campaign not only celebrated those men who have done their part of laundry duties, but also dedicated Fridays as #JuanWash days. Considering that most Filipino households do their laundry twice a week, getting men to do the laundry once a week means doing their equal share of the load. 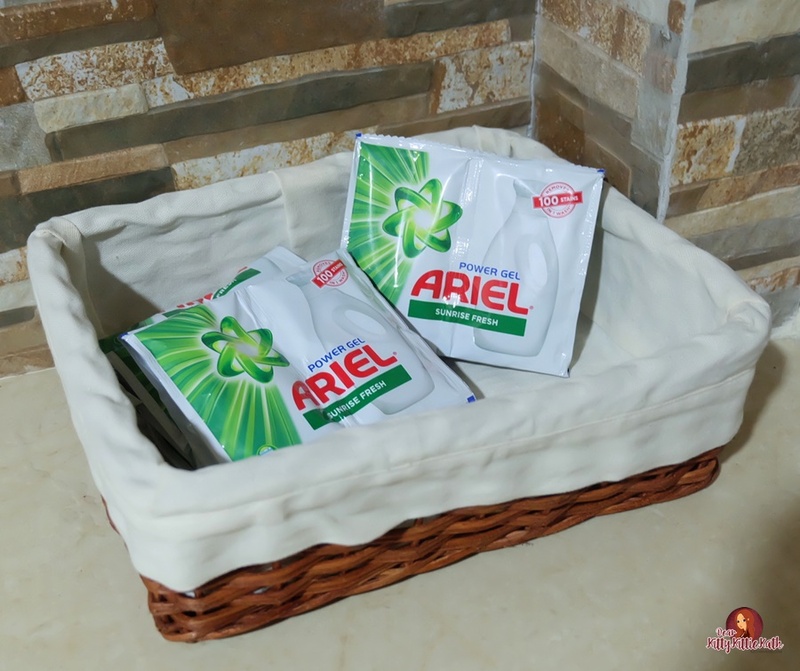 By getting men to do the laundry at least once a week, Ariel hopes to transform them into laundry experts with the help from Ariel Power Gel that’s especially formulated for better stain removal with just one wash. In partnership with Eat Bulaga, Ariel also scoured through many different barangays in Metro Manila to find Juan Washers every Friday. This put the spotlight on individual Juan Washers, and showcased how valuable their role is in further pushing gender equality in the family and in the community. In so doing, Ariel Men all over the Philippines were able to collect 10,000 laundry hours in just one month, which represents the number of hours freed up for the women in their lives. To celebrate this feat, Ariel handed over the 10,000 laundry hours to the Philippine Commission on Women (PCW), represented by their Chief of Corporate Affairs and Information Resource Management Division, Ms. Honey Castro, as a symbolic gift to women, while emphasizing Ariel’s support for gender equality in the household. This aims to inspire and encourage more men to do their share of the load. An innovation in laundry cleaning that addresses major stain problems with its ultra-concentrated formula, which allows you to use less detergent for better results. 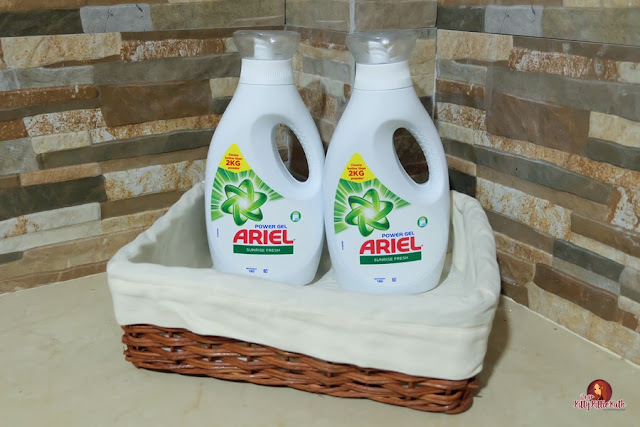 With its optimized new formulation with a higher level of active ingredients, Ariel powders and liquids have the power to remove 100 stains in 1 wash! There are 4 different surfactants in Ariel’s co-surfactant system, which work synergistically in boosting the cleaning performance. Ariel contains advanced nano-molecules that offer more effectiveness in cleaning. They can target specific hard to remove stain substances such as grease, mud, food stains like spinach and chocolate, and beverage liquid stains such as tea and coffee. Contrary to the misconception that Ariel is more expensive than powder, we dare to prove it wrong. As this comes in ultra-concentrated form, it takes less Ariel powder or liquid detergent to do more effective cleaning in every wash. Available in leading supermarkets, groceries, and sari-sari stores nationwide. Sachets: Apply a small amount of the detergent directly onto stains. Pour the rest of the detergent into the washing machine and proceed to wash as usual. For hand wash, the detergent will quickly dissolve in the water. Agitate as usual to get the desired amount of suds. Bottles: Check the instructions on how much detergent you need and proceed to use the bottle cap to measure Ariel Power Gel. Typically, about 45ml per 15 – 20 pieces of clothing or 65ml for bigger or dirtier loads. Apply a small amount of the detergent directly onto stains. Pour the rest of the detergent into the washing machine and proceed to wash as usual. For hand wash, use about 15ml per 5 -7 pieces of clothing. The detergent will quickly dissolve in the water. Agitate as usual to ge1t the desired amount of suds. The #JuanWash campaign supports P&G’s #WeSeeEqual global advocacy, and forms part of Ariel Philippines’ #AhonPinay movement which continues to push the boundaries on gender equality and women empowerment. To date, Ariel has an ongoing partnership with the Technical Education and Skills Development Authority (TESDA) to provide women with training in commonly male-dominated fields. These trainings are envisioned to give these women more equal job opportunities in these fields. Why do the the measurements of the Ariel say net volume but have a unit of mass?